The one in the Sultanahmet Park, in Istanbul. In the background, the Blue Mosque, otherwise known as the Sultan Ahmed Mosque. 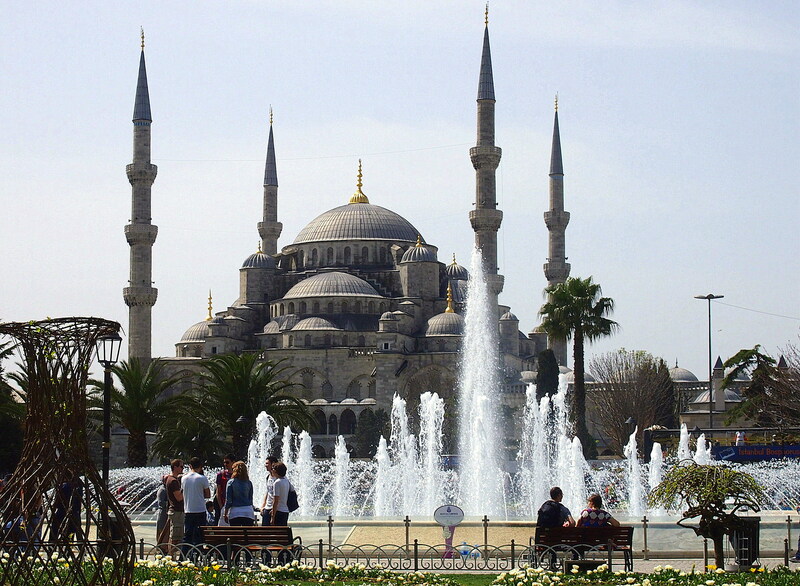 During the 1600s, Sultan Ahmed I commissioned a mosque, with a very clear briefing: to surpass the close by Aya Sofya. While the results are debatable, its pilled domes and minarets (six of them and a record at the time) dominate the old city skyline.